Abu Bakr al-Baghdadi reportedly survived a coup attempt launched by foreign fighters in his eastern Syrian hideout. Abu Bakr al-Baghdadi, the leader of the Islamic State (ISIS) jihadist group, survived a coup attempt last month launched by foreign fighters in his eastern Syrian hideout, The Guardian reported on Thursday. The terrorist group has since placed a bounty on the main plotter’s head, according to the report. The incident is believed to have taken place on January 10 in a village near Hajin in the Euphrates River valley, where the jihadist group is clinging to its last sliver of land. Regional intelligence officials said a planned move against Baghdadi led to a firefight between foreign fighters and the fugitive terrorist chief’s bodyguards, who spirited him away to the nearby deserts. ISIS has offered a reward to whomever kills Abu Muath al-Jazairi, believed to be a veteran foreign fighter, one of an estimated 500 ISIS fighters thought to remain in the area. While ISIS did not directly accuse Jazairi, placing a bounty on the head of one of its senior members is an unusual move and intelligence officials believe he was the central plotter, noted The Guardian. There have been conflicting reports about Baghdadi’s fate in recent years. A year ago, it was reported that he was still alive, but that injury and poor health had forced him to relinquish control of the terror group. In 2017, Russia claimed that the ISIS leader might have been among a group of ISIS members who were killed in a Russian air strike south of Raqqa, the group’s former de facto capital in Syria. 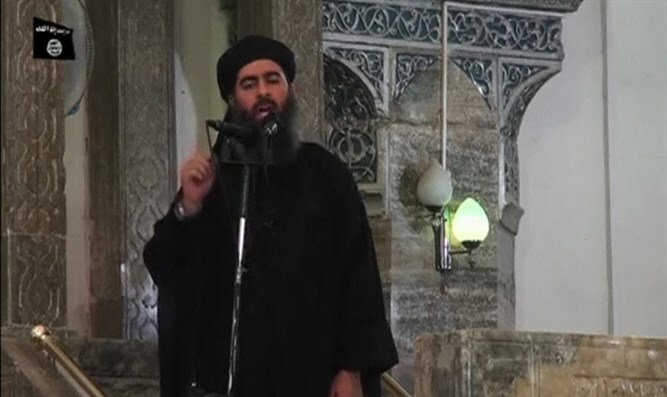 US officials have remained skeptical over reports of Baghdadi’s death. Former US Defense Secretary Jim Mattis said in July of 2017 he assumes that Baghdadi is still alive. In order to prove that he is still alive, ISIS has released several recordings of its leader in recent years. In one such recording, released last summer, Baghdadi was heard calling on Muslims to wage "jihad". While rumors of unrest within the dwindling organization have swirled in recent months, there has been little – until now – to suggest a serious threat from within to Baghdadi’s leadership or life, noted The Guardian. Those who have stayed near the extremist leader are themselves also ideologically driven veterans, whose loyalty has been tested over years of losses. However, ISIS fighters – among them former diehards – have been fleeing the besieged areas each day for the past three weeks, with several thousand members and their families surrendering to Kurdish-led forces near Deir ez-Zor. Despite ISIS’ losses of land, there are growing signs of a low-level insurgency re-emerging in Iraq, near where the group overran Mosul in June 2014. The numbers of roadside bombs and summary executions have steadily increased over the past year, officials in northern Iraq said. In addition, ISIS is believed to have raised its flag – albeit briefly – in parts of Mosul and the nearby Nineveh plains.